Graduate education is an investment of time and money. If you’re looking to move up the career ladder, you’ll have to decide whether to earn a master’s degree in nursing (MSN) or a Doctor of Nursing Practice (DNP). The DNP offers special benefits if your goal is to become a leader in the program – and it is a worthwhile pursuit if you can afford it. The completion time for the DNP is approximately three to four years, which is about one year longer than the time it takes to complete an MSN program. DNP students learn broad and deep lessons on the workings of the health system and acquire the credentials and competencies to assume a leading role in the sector. The DNP is a practice doctorate for nurses. It is the highest level of academic preparation for clinical practice. Unlike the Ph.D., which prepares nurses for careers in research, the DNP blends academics with practice immersion to produce experts that will bring evidence-based knowledge into clinical practice to boost health care outcomes and strengthen nursing management. The complexity of health care and rising concerns about the quality of care and patient safety necessitate a more educational preparation for nurse leaders. The Institute of Medicine underscores the need for adequately trained nurses to meet the challenges of the 21st Century. In a similar recommendation, the American Association of Colleges of Nursing (AACN) also acknowledges the need for greater nursing education to manage the demands of an increasingly complex health care system. Accordingly, the AACN recommended implementation of the DNP by 2015 as the terminal degree for advanced practice nurses. The DNP curriculum offers a greater emphasis on health policy training than the MSN program. It is for this and other reasons the AACN presents the DNP as the preferred pathway for those who want to practice at the highest level of nursing. 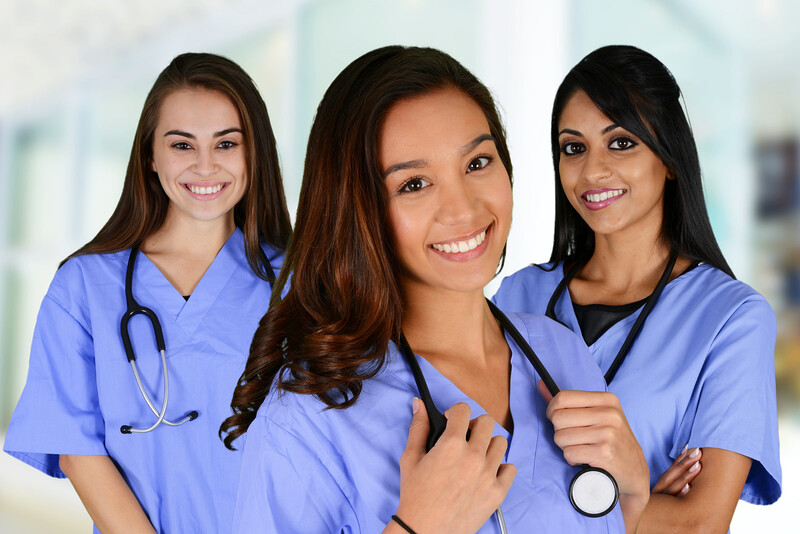 Most RNs choose the MSN for the flexibility it offers; they are able to set their own pace of study and pursue the DNP at a later time if the need arises. 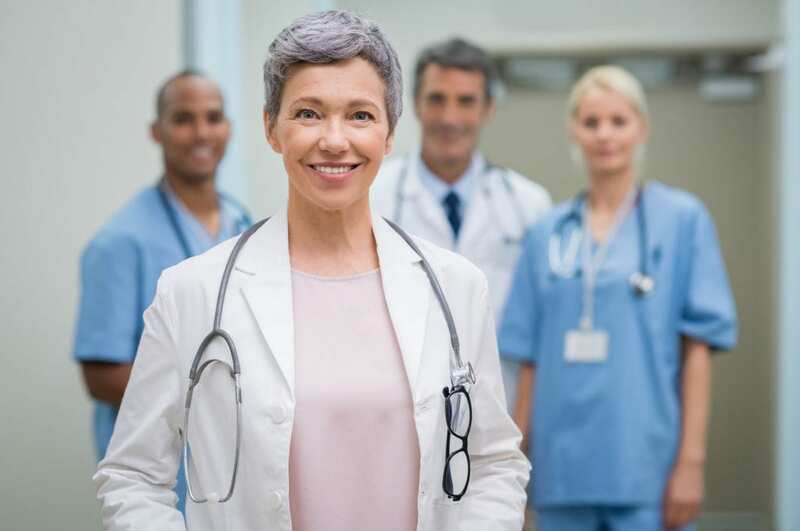 While the MSN represents flexibility and foundational preparation for advanced clinical practice, the DNP earns respect – respect from peers and non-nursing health care professionals. Clinical experts and educators must often work with other professionals within health, and the DNP makes it possible to communicate and collaborate effectively for the best interest of all involved. The decision to pursue the DNP should be carefully weighed, taking your personal obligations and availability into consideration as the program requires a significant commitment. Your long-term goal as it relates to advanced practice nursing and leadership would ultimately determine if you go for the DNP or opt to get the MSN first. The DNP is the ticket to career advancement. If you’re willing to take the plunge, the DNP will add to your experience and accelerate your career to new heights. MSN nurses are clinically prepared to operate within their specialty and focus area, but their knowledge of health policy, quality improvement, and outcome evaluation needs improvement. If you wish to broaden your understanding of these areas that impact care and be treated as an equal on the medical team, then a DNP is the way to go. The DNP credential will give you an advantage in the implementation of best practices and the translation of research into viable solutions. Rapid and continuous changes in health care call for nurse leaders who have the foresight to prepare and adjust to those changes and implement working solutions to complex issues. Through the application of evidence-based practice, DNP nurses can develop plans of action to improve the quality of care to meet patients’ high expectations. They are visionaries who foresee issues before they arrive and present new care models and standardize practice across teams. There’s no escaping the role of informatics in the healthcare environment, and as it moves forward in hospitals and other healthcare environments, the need for doctoral-level nurses will surge. Certified electronic health record technology and other IT initiatives will require nurse leaders who understand technology and can make meaningful contributions to improve patient safety. DNPs can also use technology to coordinate care across the continuum to document how care is delivered. A focus on leadership is another DNP essential that supports the development of clinicians who can capably influence healthcare policy at the organizations, governmental, regional, and national level. Nurses are active leaders in the issues that affect the workforce and the community at large. Developing a leadership mindset is a critical goal for nurses who want to advocate for change in multiple healthcare settings. Project management goes hand in hand with leadership as the DNP nurse must have an oversight of the role and function of every member of the multidisciplinary team. This will enable the nurse to delegate responsibility appropriately and in the best interest of the patient. The proliferation of DNP programs across the nation bodes well for the profession. Enrollment is up, and the success of students is a win for the healthcare at every level. As leaders, graduates can work to move the profession along by addressing the issues that reduce interest in the profession of nursing. As administrators, they can develop and implement policies that will positively improve the lives of nurses – especially those at the bedside. As educators, they can take special interest the future of nursing by filling those vacant roles at colleges and universities. The shortage of faculty has dramatically reduced the volume of new nurse graduates as educational programs have to turn away hundreds of eligible candidates each year due to lack of this vital resource. There are almost immediate tangible and intangible benefits for someone pursuing a DNP degree. DNPs earn as much as 21 percent more than a master’s degree graduate – according to the latest figures from the BLS. In their role as leaders, DNPs can give their salaries a substantial boost. The health system is complex, fast-paced, and demanding. The focus on patient satisfaction, quality care, safety, and positive outcomes require those at the helm to be competent leaders, advocates, coordinators, collaborators, and policymakers. The weight of responsibility that falls upon nurse leaders makes doctoral study more of a necessity than luxury. The DNP program is targeted to advanced practice nurses who want to assume leadership or administrative positions. The plan of study helps students develop the competencies to evaluate and apply research to improve patient care. Graduates are expert clinicians who can work collaboratively with other professionals, advocate for patients, take a leading role in care, and translate clinical research to improve patient outcomes. They will provide advanced care to various groups, manage the care delivered to specific populations, and implement healthcare policy. Building on the foundation of the master’s of science in nursing, the DNP curriculum helps students achieve the highest level of clinical practice. Registered nurses who hold a master’s degree will complete 33 to 42 credits –depending on an evaluation of prior courses. The DNP Essentials also require that students have at least 1000 practice hours to complete the DNP competencies. MSN graduates may receive credit for up to 600 hours for the clinical experiences completed in the program. There are two paths to enter the DNP program: the post-Baccalaureate and a post-master’s. On-campus, hybrid, and online formats may be available. Students entering through this pathway will complete core master’s courses, 1000 hours of clinical practicum, and a DNP project. A BSN nurse must complete at least 62 credits to get the DNP. For the DNP program, students will use evidence-based research to develop a proposal to manage an identified problem. If a DNP is a career goal, the BSN to DNP is an accelerated and affordable option to get to the terminal degree. With just three years of consecutive enrollment, you can complete the requirements without repetition of courses. Candidates must have a bachelor’s degree in nursing to be admitted to the program. An onsite or phone interview with a representative from the DNP program. Students enrolled in the MSN to DNP program must complete a minimum of 30 credits post-master’s. The curriculum is personalized for each student according to the work and practicum hours completed in the master’s program. The school may accept up to 600 practice hours from the master’s program, which will require students to complete an additional 400 hours to meet the DNP practice requirements (1000 hours). 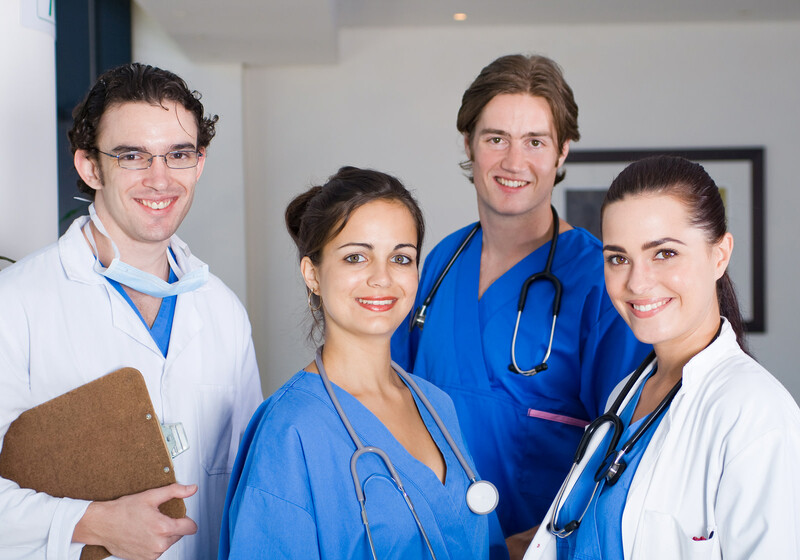 Certification in a specialty area and a license to practice as an advanced practice registered nurse is a common requirement for entry through this track. GRE scores – 144 Quantitative/500 on the previous version, 153 Verbal/500 on previous version and 4.0 Writing. Vermont residents enrolled in the DNP program at the University of Vermont can expect to pay $646 per credit for graduate study plus $10 per credit for the comprehensive fee and $7 for the graduate student fee. Full-time students (12 or more credits) will pay $7,752 plus $646 for each additional credit past 12.